9, machining position: first knife minimum of 8mm, single-side processing unlimited number of cutting line can be set arbitrarily. 10, machine-hop Cutter: Cutter machine processing can be set arbitrarily jump jump jump knife blade number and location. 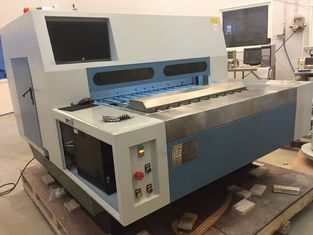 11, residual thickness settings: machine has three types of residual thickness can be set to three different shades of a single surface residual thick. 12, machine structure: one machine base design using casting methods to ensure stable machine performance. 1, The machine uses Microsoft WindowsXP system, Chinese and English operation interface, Easy to operate . Parameter setting procedure is simple. First, Set the board size , Then setting the position data of the cutting line . Finally Set of the residual thickness of cutting , then complete the processing. 2, The machine displays including Machine showed pictures and data. real-time tracking processing icon displays the current processing position, allowing the operator In real time to understand the whole process. Inconsistent correction processing parameters can be carried out. 4, Machine has a blades protective function, in order to avoid residual thick outer diameter of the tool set and improper settings blades damage. 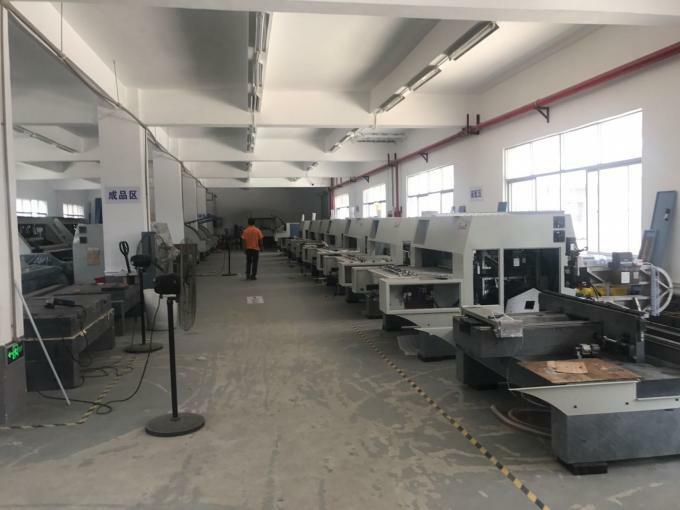 1, both machines were imported each axis servo control system to ensure the stability and performance of the machine precision, push plate axis, Cutter shaft and the upper and lower blade shaft using servers and servo motors, servo wheel servers and servo motors. 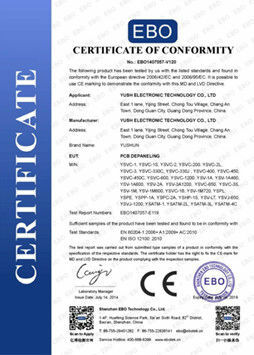 2, The main control board is the United States six axis motion control card.